While at Galiano Inn and Spa in March, I took the opportunity to spend the day on Mayne Island, a place I'd never been to before. Like so many who sail from BC's mainland to Vancouver Island, I had only viewed it from the ferry's deck and seen the lighthouse guarding the channel between the two islands. 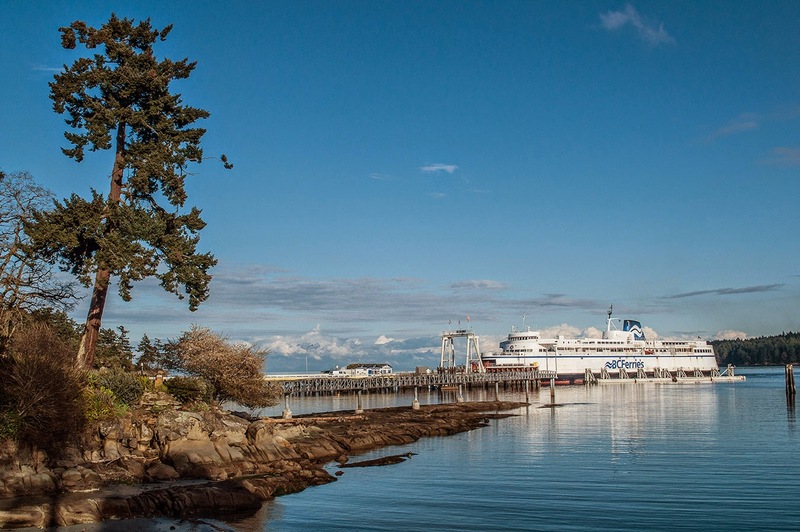 The ferry ride is only twenty minutes across Active Pass from Sturdies Bay to Village Bay. I took the car so we could thoroughly explore Mayne in the six hours available. The weather was sunny with a cool breeze off the ocean. The difference in island culture from Galiano struck me immediately as I headed to Miners Bay a few minutes north of the ferry dock. Here there are more amenities than on Galiano: a shopping centre with a smallish but good supermarket with local products, a gas station, galleries displaying resident artists' work, gift shops, and the post office. The welcome and friendliness started at Tru-Valu Foods — as my husband and I arrived before the daily papers, the checkout clerk said she would put them aside for us to pick up at the end of our tour. And, she did. 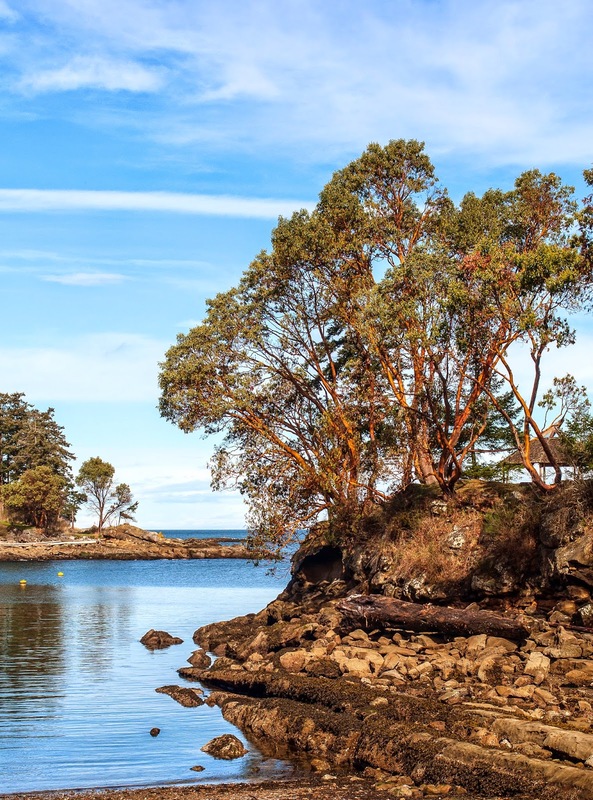 Mayne Island has a long history, dating back 5,000 years with First Nations fishing activity off Helena Point being dated to three millennia ago. 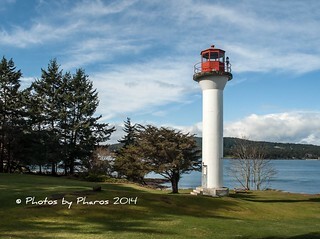 The Spanish visited in the 1700s and George Vancouver camped near the future site of the Active pass lighthouse. The Royal Navy surveyed Mayne in the mid-1800s naming it after a lieutenant on HMS Plumper. Our first stop was at Georgina Point Heritage Park where the Active Pass lighthouse now stands. It has been guiding seafarers since 1885 without ceasing —129 years. 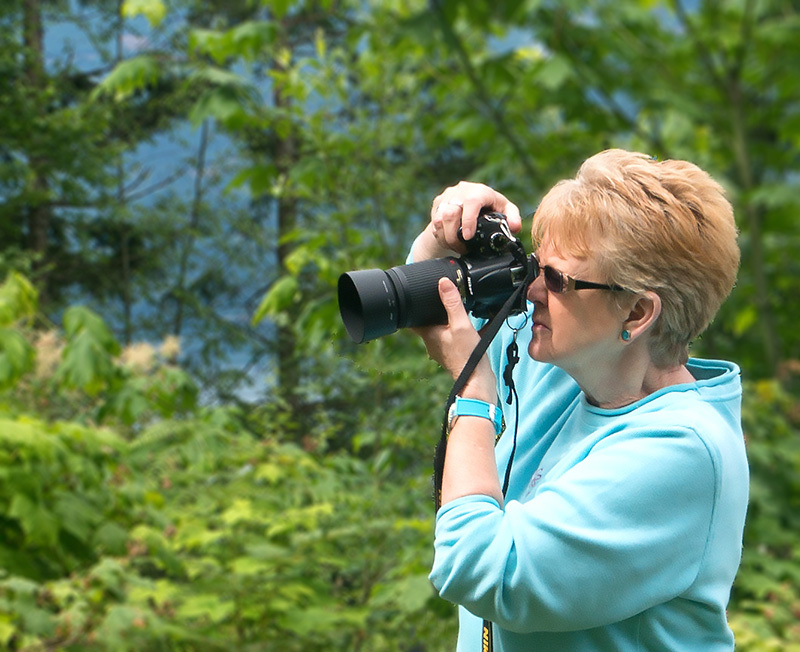 Now the park is managed by Parks Canada and it is well worth visiting for the view of Active Pass towards Galiano. If you're lucky you'll see one of the big ferries surge past quite close. Today farms are plentiful inland, and cattle and dairy cows munched in the fields as we passed, but the hothouse cultivation is long gone. We discovered tiny coves with boat launches and a great book store, Miners Bay Books, smack in the middle of the island, which was filled with titles by Canadians and those living on Mayne. 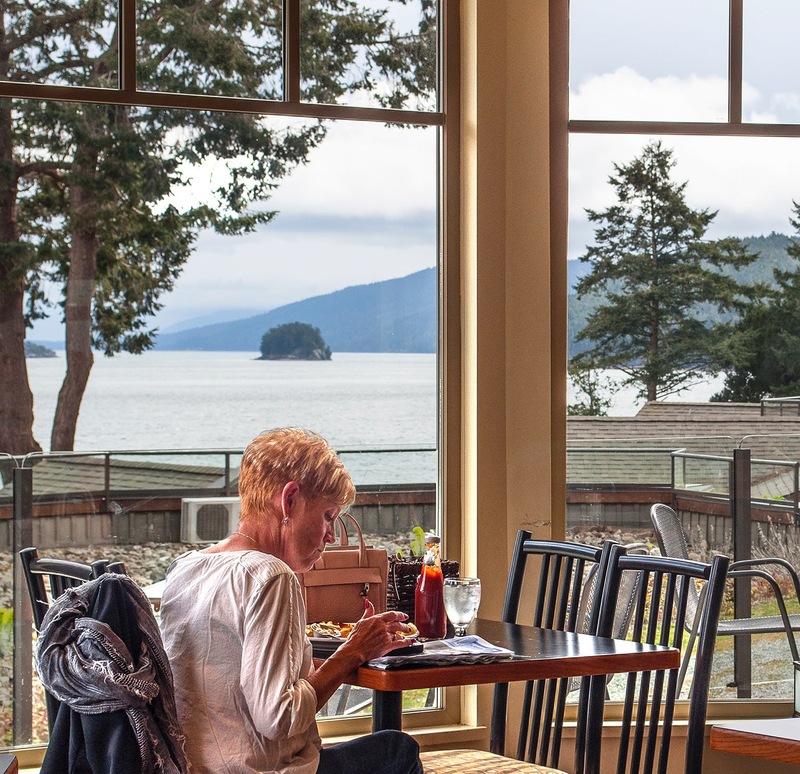 Another goal was to take a look at the Mayne Island Resort for a possible future vacation spot and have lunch in their restaurant. The inn has been welcoming visitors for a century and offers guests a choice of cozy rooms, cottages and villas, all of which overlook a sheltered, islet-dotted bay. The more recently constructed villas have full kitchens and all rooms have free WiFi. The resto is the Bennett Bay Bistro, which attracts locals for it's glorious view and excellent, locally-sourced ingredients. I not only loved the cuisine, but also enjoyed the choice of craft beers and IPA. Our final stop was the Japanese Memorial Garden beside Dinner Bay Park. It's free but donations for upkeep are welcomed. Local residents funded and built this tranquil spot as a tribute to the Japanese settlers on Mayne Island who contributed so much. Late March meant the cherry blossoms and spring bulbs were on display, and we were told it's a beautiful garden in every season. We'll be back in the summer again.